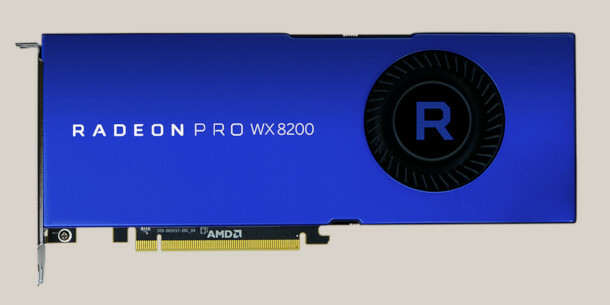 AMD has announced the Radeon Pro WX 8200, the latest GPU in its Radeon Pro WX Series of professional workstation graphics cards. The new card, which launches at Siggraph 2018, is the second card in the series to be based on AMD’s new Vega architecture – but at $999, is considerably easier on the wallet than its sibling, the WX 9100. The Radeon Pro WX 8200 is the latest workstation GPU to be based on AMD’s new Vega architecture, and the second available for Windows and Linux systems. At $999, it’s considerably cheaper than its predecessor, the Radeon Pro WX 9100, which had an MSRP of $2,199 on its launch last year. As you might expect, its specs are lower than its big sibling: its peak single-precision compute performance is 10.75 Tflops as opposed to 12.29 Tflops; and it has 8GB of HBM2 memory as opposed to 16GB. However, that compute performance figure is far closer to the WX 9100 than it is to the next card down, the Radeon Pro WX 7100; and, at 512GB/s, its memory bandwidth is actually higher than the 9100. Connectivity is slightly odd – you get four Mini DisplayPort connections, rather than the standard DisplayPort used on the 7100; and, with a TDP of 230W, its maximum heat output is identical to that of the WX 9100. 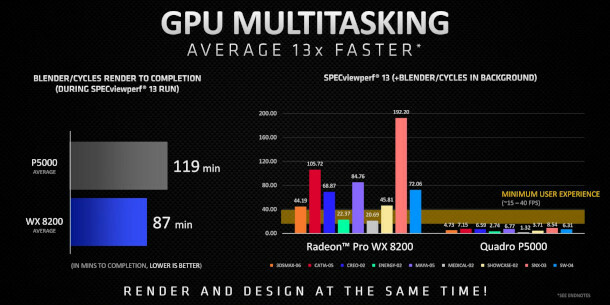 One interesting slide from AMD’s press deck, which Anandtech has shared online here, has the Radeon Pro WX 8200 outperforming Nvidia’s Quadro P5000 for GPU multitasking. AMD’s Radeon Pro WX 8200 has an MSRP of $999. 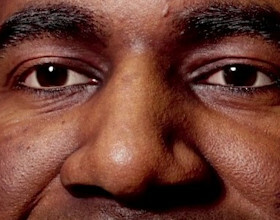 It’s due to become available in September 2018. *Other points to bear in mind: with 16GB VRAM, the Quadro P5000 can fit much larger scenes into graphics memory while rendering than the WX 8200, and as a Nvidia card, it also works with CUDA-only renderers.